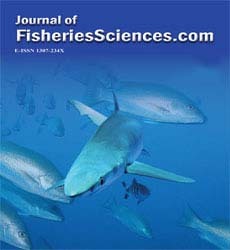 There is a need to predict the working shape and hook depth of trolling line with sufficient accuracy to manufacture an effective and environmentally friendly trolling line for hairtail (Trichiurus lepturus) fishing. We developed two numerical methods: static and dynamic (mass-spring) analyses. The static method provides a prediction of the gear shape in space under an equilibrium configuration, whereas the dynamic analysis provides a prediction of underwater shape in space and time. To understand the underwater performance of trolling line under different fishing conditions, we prepared two small-scale model gears and performed in two separate experiments. The first test was conducted to determine the hook drag coefficient. Second, two trolling line models rigged with 0.13 kg and 0.26 kg sinkers were towed at speeds ranging from 1.2 to 1.5 msÃ¢ÂÂ1 in a flume tank. Images of models at equilibrium were captured, analyzed using a photo digitizer, and compared with predicted values using two numerical methods. We confirmed that the measured data showed close agreement (mean errors within ±5%) with the data calculated by the numerical methods. At the post-verification stage, several simulation trials were also performed on computers using the VB6 coding software and graphic tools for models, as well as for a full-scale hairtail trolling line. Prominent factors that influenced the hook depth considered in the simulations were sinker weight, warp line length, towing speed, and tidal currents. Both model tests and simulation results confirmed that the gear shape, hook depth, and the spatial positions of the gear elements depended on sinker weight, towing speed, warp line length, and tidal currents in the fishing area. Thus, target hook depth can be achieved by the combination of controlling warp line length and sinker weight for any specific towing speed.